I had so much fun creating ornaments this year! I love getting to paint anything I can, and painting off of the canvas was a refreshing and creative time for me. 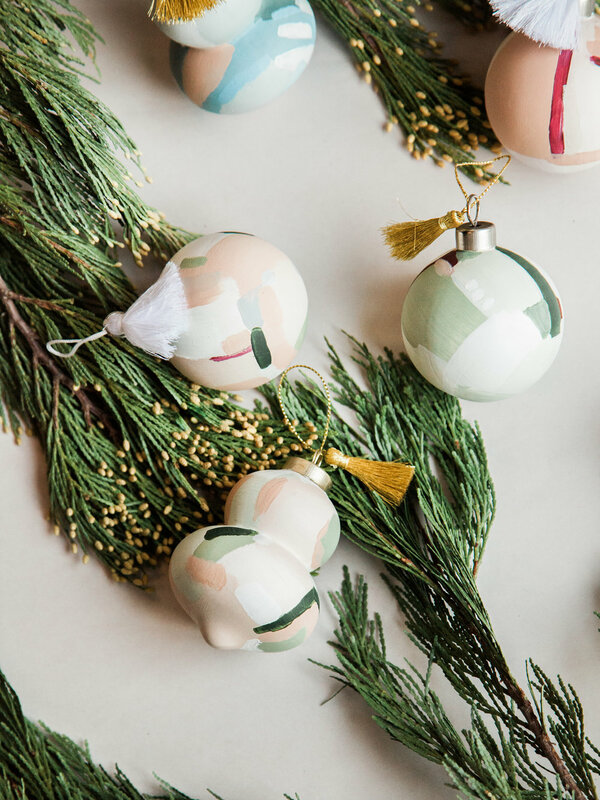 Each ceramic ornament was hand-painted and glazed with a matte protective gloss to show off the brush strokes and keep your ornament looking great for years to come! I was so excited when I found the tassels they now hang on. I think they are the perfect finishing touch. I hope you love them, give them, and feel extra happy when you see them on your tree. Get yours while supplies last under the shop tab or click here.